Senior forward Damian German dribbles the ball during the Aztecs 2-0 victory over Brown University on Sept. 14 at the SDSU Sports Deck. German had two goals in the game. 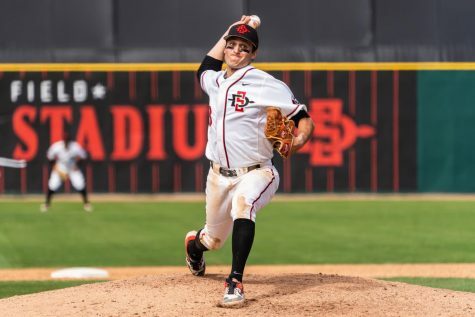 San Diego State men’s soccer defeated Oregon State, 1-0, on Oct. 4 at the SDSU Sports Deck. 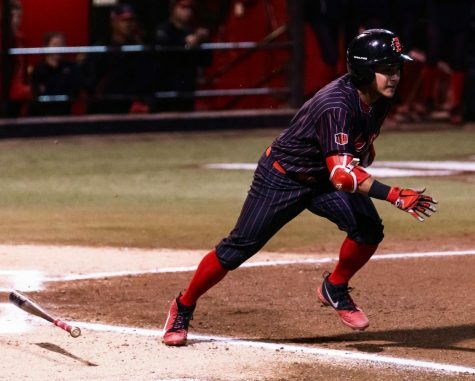 The Aztecs (5-4-1, 1-2-0) won for the fifth time this season along with their first victory in Pac-12 conference play. SDSU had six shots on goal in the first half and three corners earned. Despite being aggressive on the attacking third the Aztecs struggled to put away any goals. Head coach Lev Kirshner said it was less of a struggle but more so that soccer is a game where scoring does not come often. SDSU continued to maintain pressure on the Beavers coming out of the second half. 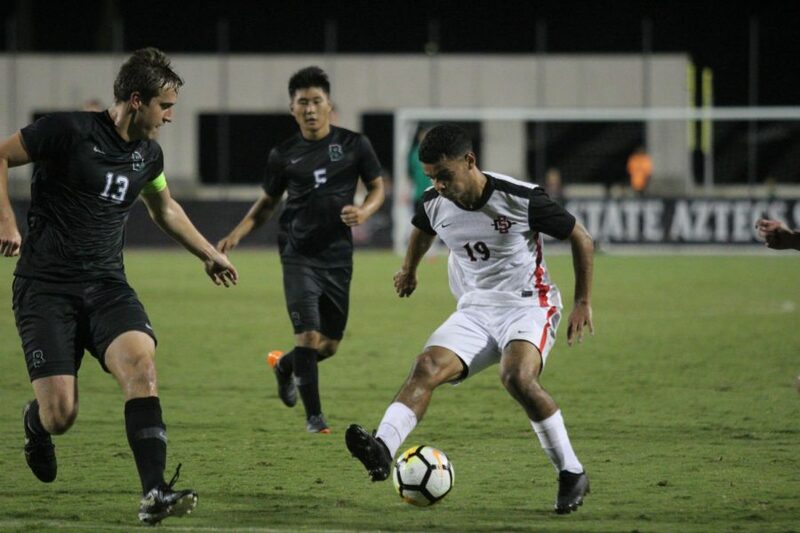 An opportunity came when a pass from SDSU captain Pablo Pelaez connected on a shot on goal for senior forward Damian German in the 59th minute. It was SDSU’s first goal in conference play and German’s third goal of the season. 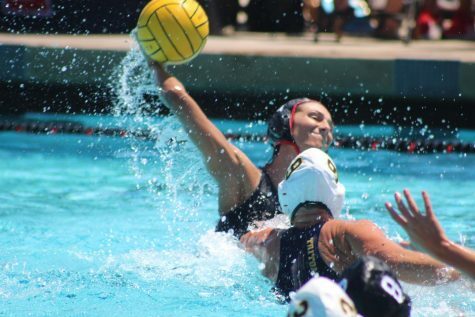 Pelaez said it was great contributing to the team’s success against a tough opponent. After the goal, OSU kept the Aztec backline on its heels with plenty of chances created. 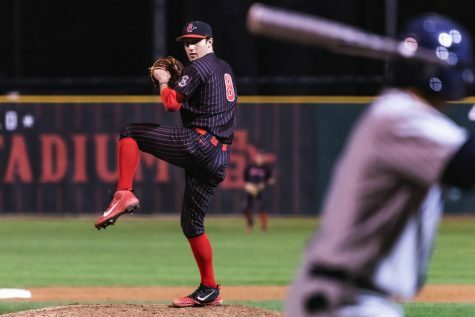 It was a strenuous effort to keep the Beavers scoreless on SDSU’s home soil. A big reason why the Beavers struggled to find the back of the net was due to the efforts of redshirt junior goalkeeper Max Watkin. 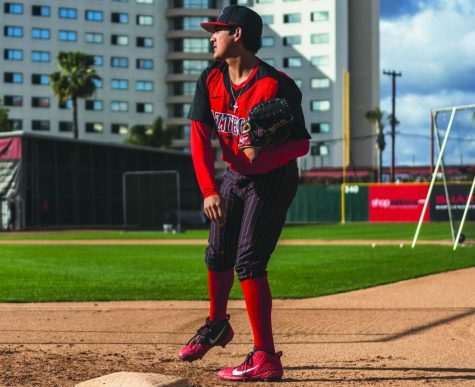 This was Watkin’s second career start for the Aztecs. He finished the match with two big saves including a crucial one in the first half off a breakaway run for OSU midfielder Joel Walker. Watkin secured a shutout at the end of 90 minutes. He said he is confident in both his play and the team’s abilities. In the final 15 minutes the Beavers came at the heart of SDSU’s defensive end. Kirshner said he thought OSU made things difficult down the stretch. 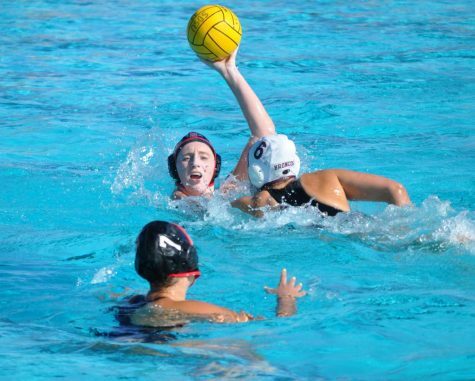 It was a team effort from the Aztecs that prevented the Beavers from scoring for the remainder of the game. 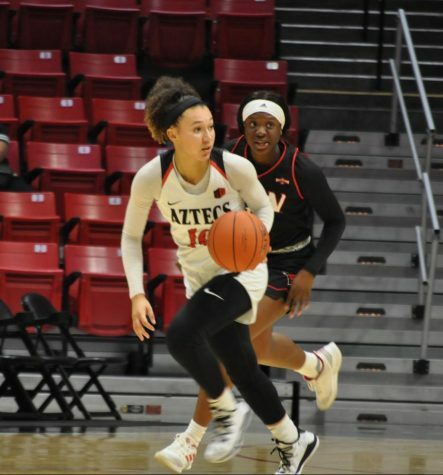 The next test in conference play for SDSU comes on Oct. 7 when coach Kirshner’s side hosts Washington at the SDSU Sports Deck.